Zach began serving The Pillar Network as the Executive Director in September of 2011. He and his wife Allison have three children, Tanner, Brayden, and Lexi. Zach is a graduate from the University of North Carolina at Wilmington and holds a Master of Divinity from Southeastern Baptist Theological Seminary. Zach has been active in coaching pastors and planters in fundraising for the purpose of starting new churches and revitalizing dying churches since 2011. His ministry experience and passion for the local church combined with his commitment toward seeing healthy cooperation and association amongst local churches, businesses, and their membership is a defining characteristic of his leadership. Zach works alongside the Board of The Pillar Network to facilitate healthy cooperation amongst the member churches and partners of The Pillar Network. Nathan Akin is the Network Relations Director for the Pillar Network. He also serves as Director of Baptist21. He has a Masters of Divinity from Southeastern Baptist Theological Seminary and a Bachelors Degree in Political Science from Murray State University, where he twice played in the NCAA Tournament. 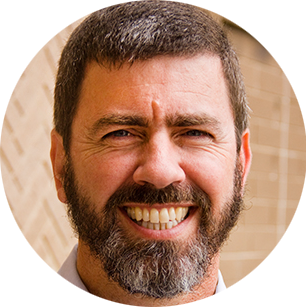 In the past, he has served as the Discipleship Pastor of Imago Dei Church in Raleigh, NC and served as Special Assistant to the Vice President of the Global Theological Initiative at Southeastern Seminary. Kevin graduated from The College at Southeastern Seminary in 2008, with his Bachelors in Biblical Studies. While living in Raleigh, Kevin and his wife, Julie, were members at Open Door. Since graduating, he has served as a graphic artist, educational manager, and on staff at a Pillar Network church plant, overseeing their communications and digital media; while playing in the band and leading a small group. During this time, the Lord further blessed their family with the births of their two children. In 2017, Kevin completed his Masters in Marketing and Communications from Franklin University. Ultimately, Kevin’s passion is to assist our church partners by developing high quality communications that can enhance our churches’ impact in their selected communities. Cristina graduated from the University of California at Los Angeles in 2001 with a degree in Psychology. She and her husband served in the mission field in Romania for eight years and have recently relocated to Raleigh. She has many years of financial and secretarial experience having been previously employed as a church financial secretary and bookkeeper of a few small businesses. Cristina, her husband, Andrei, and their three children, Daniel, Hannah and Abigail, attend Open Door and they desire to see the kingdom of God grow through personal evangelism and church planting. Dwayne Milioni has been the Senior Pastor at Open Door since 1999. He and his wife Kay moved to the Raleigh area from Virginia, where they both received Masters Degrees. Dwayne graduated with his Ph.D. from Southeastern Seminary, where he enjoys teaching classes in counseling & preaching. Dwayne and Kay have four children: Cameron, Victoria, Derek, and Gabriel. Bill Curtis, is the Senior Pastor at Cornerstone Baptist Church. He, along with his wife, Lyla, are a real blessing to the Cornerstone family. Their daughters, Cherie and Cassie attend North Greenville University. Dr. Curtis has a Master of Arts Degree from the University of Tennessee Chattanooga, a Master of Divinity and a Doctor of Philosophy Degree from Southeastern Baptist Theological Seminary. Jose is from south Florida and pastors there today at Providence Road Church, a bi-lingual congregation he planted in 2010 which has experienced significant growth, both numerically and spiritually. In his spare time, Jose loves hanging with his six kids, and beautiful wife, Nira. Beyond pastoring and serving on our board, Jose, helps lead our Miami region, and was honored with a nomination as the 2nd VP of the Southern Baptist Convention this past summer. Jeremy serves as the College and Missions Pastor at Crosspoint in Clemson, SC. He also leads Generation LINK. Jeremy has a passion for the next generation of spiritual leaders (2 Timothy 2:2) in the home and church. He also has a passion for the church to effectively evangelize the lost and disciple people to maturity in Christ. Ken has been the Lead Pastor of New Branch Community Church in Dacula, Georgia since it began in 2008. He has been married to his bride Susan, since 1989. Susan teaches school and together they have four sons; one in college, one in the military, and two still in school. Ken has served as a pastor for over 15 years, has a strong passion for preaching and church planting, and enjoys all aspects of college athletics. Curtis has been the pastor of Hope Fellowship in Boston, MA, since it began in 2003. He is married to his wife, Brandy and they have two children, Hannah and Brennan. He enjoys spending time with Brandy and the kids, reading, drinking lots of coffee and occasional games of pick-up basketball and flag football. Tim Dale lives in Wilson, NC with his wife and best friend Carol. Prior to his retirement in 2012, Tim served as the CEO of BB&T's Home Mortgage division. He was part of the core team that was called by God to plant Christ Community Church in Wilson, NC where Tim previously served as an elder. Tim loves to use his gifts in administration to support the Pillar Network. Ryan is a newer face to the Pillar Board, but no stranger within Baptist circles. Ryan or "Hutch" as he is sometimes called, serves as the Executive Vice President for Operations (COO) at Southeastern Baptist Theological Seminary, where he has worked since 1997, overseeing numerous departments and hundreds of employees. Hutch has also served at 2 Pillar churches: FBC Durham, where he was an elder, and more recently, at Open Door in Raleigh, where he and his family are current members.